Belize Ocean Club is being reimagined by a global hospitality management company, STEM®. Lead by CEO Robert van Eerde, protégé of André Balazs, the leader behind the opening of Bono’s Clarence Hotel in Dublin, a consultant for Soho House group and hotels from Miami to Abu Dhabi and China. Specializing in stand-alone “true boutique hotels,” STEM® brings decades of international experience and heightened the quality of service to the destination. Among the experts on the team are Alistair MacLean, recently appointed as Regional Director of Belize Ocean Club, and Juan Palmada, who will serve as Vice President for Sales, Marketing and Development in the Americas. Maclean brings a strong international background, having led Sixty Hotels in New York City, Le Yaca in Saint Tropez, Serrano Beach in Saint Barth’s and most recently Antsanitia Hotel and resort in Madagascar. MacLean began his career working with the Savoy Group of Hotels and Restaurants in London, went on to become Director of Operations of Andre Balazs Properties, which included the roles of General Manager/Partner at Sunset Beach Hotel on Shelter Island, New York, and General Manager of The Raleigh Hotel in Miami Beach. He also served as Managing Director at The NoMad Hotel in NY and Regional General Manager of Chelsea Hotels. Set on the beautiful Maya Beach, Belize Ocean Club is just a short journey away from the quaint village of Placencia and all the activities Belize has to offer. 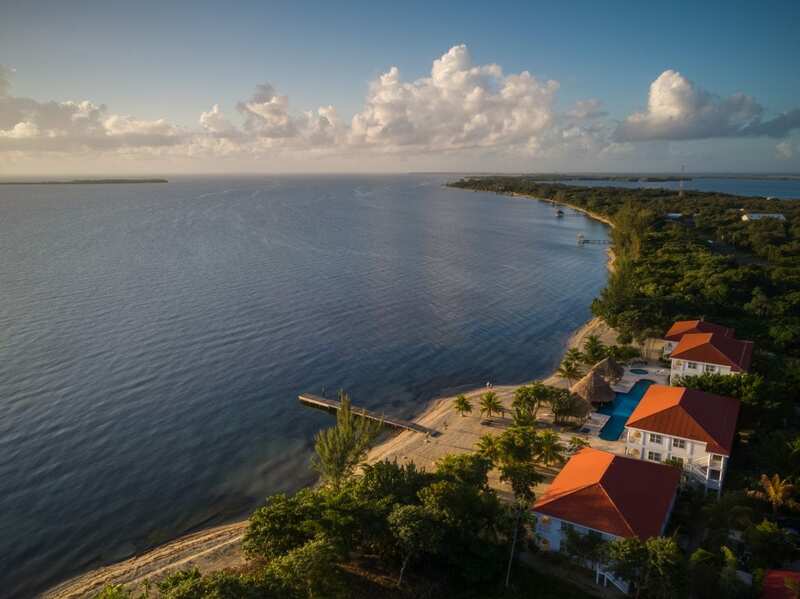 Perfectly situated for access to both jungle and ocean adventures, the resort also offers breathtaking views of the Maya Mountains, lagoon and Caribbean. As the first new initiatives for the property, STEM® announces two new restaurant concepts and curated experiences for guests. FYAH, local dialect for fire, will be the new main beachside restaurant, serving cuisine rooted in Belizean traditions. All food will be prepared and cooked on an open-flame grill in front of guests. Visitors will lounge under the Palapa in a chic beach bohemian setting, where dining will be offered three times a week. With the largest living barrier reef off its shores, STEM® is putting a focus on diving experiences, including the creation of an on-site dive certification program. The management team is also creating unique new excursions for adventure travelers – both at sea and in the nearby jungles and Mayan ruins of Belize. STEM® Hotels is an international “TRUE” boutique hotel management company with offices all over the world. Founded in 2011 by Robert Van Eerde to support and guide the small independent hotel market through effective management. Clients include Hotel Astor, Red Wall Garden Hotel, Time Tunnel Designer Hotel, Sofu Hotel, The Emperor, Savoy hotel Miami Beach, Adria Hotel London, SOHO Beach House Miami, Pelican Hotel Miami, Manor House Nevis and El Ganzo, Cabo San Jose, Souq Waqif Boutique Hotels Qatar. Seychelles will next year host the FINA World Junior Open Water Championship 2020, making it the first African country and small island nation to organize this event. Additionally, following the resounding triumph of the first-ever FINA/Hosa Marathon Swim World Series held on our beautiful shores in 2018, Seychelles will once again host the second leg of the prestigious swimming competition in May this year. These official announcements were made during a press conference held on January 17, 2019, at the Savoy Resort and Spa in the presence of Mr. Maurice Loustau-Lalanne, the Minister for Finance, Trade, Investment, and Economic Planning, Principal Secretary for Youth and Sports Mr. Fabian Palmyre. The press conference hosted by the chairperson of the Seychelles Swimming Association (SSA), Mr. David Vidot, also saw the participation of the two core governmental partners in the presence of Mrs. Sherin Francis the Seychelles Tourism Board (STB) Chief Executive and Mr. Jean Larue, Chief Executive of the National Sports Council (NSC). The FINA World Junior Open Water Championship is an international swimming competition that brings together boys and girls between the age of 14 and 19, to race at the highest level. “This is another historical moment for Seychelles as we are pioneering open water not only in Seychelles but also in the African continent,” said Mr. Vidot. During her intervention STB Chief Executive Mrs. Francis commented that as a faithful partner of the open water competitions, STB will give its support to the event, adding that such sports competitions provide a great boost to the tourism industry. “Such big events are broadcasted by major television channels and this is a way for people to indirectly discover the destination for the first time. We have noticed in the past that having international press cover such events has allowed us to receive more leverage and visibility as a small country with little resources,” said Mrs. Francis. She added that all stakeholders in the tourism industry stand to benefit from such an event. 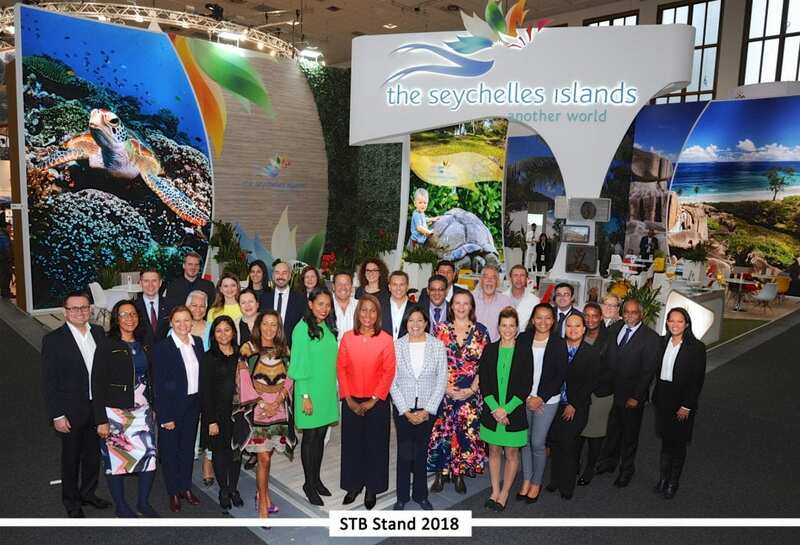 Commenting on the financial commitment of the event, the Minister for Finance, Trade, Investment, and Economic Planning stated that the government of Seychelles is giving its full support for the hosting of the event. He also took the opportunity to invite local businesses to join the initiative as sponsors and partners. “It is important that Seychelles hosts such events to make sure that it remains relevant on the international scene as a country that is serious and engaged in sport. Sport brings about peace and most of all it develops the youth and places them on the right track in life,” said Mr. Loustau-Lalanne. Mr. Loustau-Lalanne also added that the exact costing for the event has not been established yet, but that for the moment an estimation of about five to six million Seychelles rupees has been made for the event. Mr. Vidot mentioned that ongoing discussions are still being held with FINA to establish the exact date that the junior championship will take place. He explained that the junior championship might be hosted during the week that follows the final race of the FINA/Hosa Marathon Swim World Series’ second leg. There will be three age groups and three distances – 3km, 5km, and 7.5km – under which participants will be able to compete. The FINA/Hosa Marathon Swim World Series, which is anticipated for May 11 and May 12 this year, will be the second event of a four-year agreement with FINA for the international swimming event. “At the moment, we are hoping to host it back to back with the world cup series as both events will be hosted at Beau Vallon. This will allow us to make the most out of our resources,” said Mr. Vidot. In 2018, the first Seychelles edition of the FINA/Hosa Marathon Swim World Series was won by an Italians duo Arianna Bridi and Simone Ruffini who came out as the winners of the women’s and men’s race, respectively; leaving around 50 other world class swimmers from around the world envious of winning in the pristine waters.